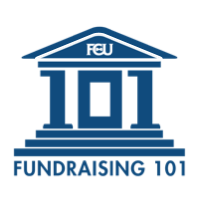 Last night, I was asked for some tips to help my fellow board members with a fundraising dinner on Thursday. Fundraising events so often devolve into board members huddling together in tight groups of people they all ready know. But money is raised when board members act as ambassadors and hosts. Here's what I wrote. As a board member, you're not there to hangout with friends. You're there to be a host. So meet new people and make others feel welcome. "What do you do when you're not at an anti-trafficking dinner?" This will get a chuckle. But it also gets at "where do you work" without insulting at home parents and retired people. "How did you get into that?" "How did you first hear about Amirah?" Those were my tips. What would you add? How did you know that I had a conversation about this just last week? Thanks for some practical tips that we can share with our board members! I like to make sure that my Board members have a couple of things ready that they can share about the organization. Board members don't live and breathe our organizations like we do and they don't always know what to say. Getting them prepped with a story or two always pays off. It is helpful for the Board members to have a guest list with brief notes in advance so they know who to expect to see and who they need to meet. If it's a really big deal event, some targeting can be good so as many as possible have board member face time. Thanks for your great posts. So true! I like to give each board member a few names of people to be sure to meet. They could be donors needing stewardship, prospects needing cultivation, or just people that would make a great connection. Board members love having a "purpose" while there. And I make sure they always feel they have the time to visit with the people they'd normally visit with.